Gretchen is registered with the National Board of Fitness Examiners, and is an International Sports Sciences Association Elite Trainer; personal trainer, specialist in fitness therapy, specialist in fitness nutrition, and a world champion athlete. 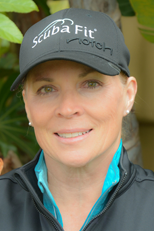 Gretchen is founder of ScubaFit LLC, developed the Comprehensive FitDiver® program, is an advanced scuba diver, nitrox diver, and co-author of the ScubaFit® Diver Course. She is an Expert Speaker for Los Angeles County Scuba Advanced Diver Program and Underwater Instructor Certification Course. Gretchen publishes FitDiver® Magazine, is Fitness Editor and/or contributor for California Diver Magazine, DiverWire, X-Ray Mag, and Scuba Sport Magazine, has been published in Alert Diver United States and Asia-Pacific, at Divetime.com, is an author at ScubaBoard, and a Scuba Fitness Examiner at Examiner.com. Gretchen has appeared on Scuba Radio and Dive Zone Radio, presented at the Scuba Show, has been a guest at dive medicine conferences, was featured in the President’s Council of Physical Fitness and Sports newsletter for inspiring and innovative accomplishments in fitness, and in the Margaritaville Key West website culinary column. As an athlete she set 21 World and Americans records and is the second woman inducted into the AAU Power Lifting Hall of Fame. Stephen is an actor, voice over artist, musician, writer, university lecturer and scuba instructor trainer. 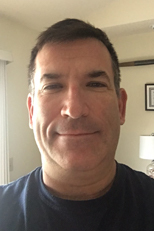 A NAUI and Los Angeles County Underwater Instructor Trainer, PADI Master Scuba Diver Trainer, CMAS and Handicapped Scuba Association instructor, he is also a First Aid/CPR/AED instructor. 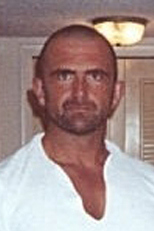 A diver, swimmer, skier, hiker, biker and sometime martial artist, fitness has long been an essential part of his life. He was a series regular in 96 episodes/five seasons of CBS Television’s crime drama “Night Heat” and has guest starred on many other TV shows. He has narrated numerous documentaries, among them “Great White Migration” and “Ultimate Air Jaws” for Discovery Channel’s Shark week, as well as educational projects for PADI and DAN. He has written short stories, magazine articles, how to guides, television and movie scripts. He has lectured on theatre history, conducted seminars on the Business of the Biz, hosted fund raisers and underwater press conferences. He is currently giving talks on the California Ships to Reefs initiative. 1987 became certified, didn’t care much for diving until a year later, when I signed up for the advanced class. 1989 fell in love with diving after my advanced class and took every class possible. I learned that if I stopped and looked around, that there was a lot to see. 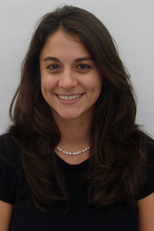 Cindy is a Board Certified Physical Therapist specializing in orthopedic injury prevention and rehabilitation. Scuba diving is her other passion and she spends as much time on or in the water as she can. 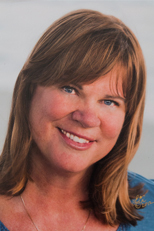 Cindy is an avid California diver and ventures often to Mexico with almost 500 dives in five years. Combining her love of diving with her love of Physical Therapy is a win-win in the ScubaFit® program. Jerry is a PADI Master Instructor, SDI/TDI Master Scuba Diver Trainer, Handicap Scuba Association Scuba Instructor, Emergency First Response Instructor Trainer, CPR1st/CPROX Instructor, Safety and Crime Prevention Instructor, DAN/Divers Alert Network Instructor Trainer, NRA Instructor-Personal Protection, Pistol, Rifle, Shotgun, Home Firearm Safety, 6th Dan Karate, Okuden Tai Jutsu, 3rd Dan Iaido, 3rd Dan Kobudo, an AFAA Personal Trainer, holds a Bachelor of Science in Marine Biology, and is a Registered Sanitarian/Environ Spec II. 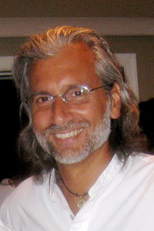 Tito Oliveras is a PADI Master Scuba Diver Trainer (MSDT) and a DAN Instructor. Originally from New Jersey, where he learned to dive and became a PADI and DAN Instructor, Tito enjoys teaching divers of all levels. Tito now resides in Florida where he can stay active with diving year round. Tito’s PADI Specialty Instructor ratings (over 30 specialties) are too numerous to list, but are a testament to his commitment to continuing his own diving adventure and education in order to better teach his students. Having taught a wide variety of students from entry-level Open Water Divers to professional-level Divemasters, Tito is an instructor that is patient and passionate in every aspect of his teaching career. His relaxed teaching methods quickly put his students at ease whether it is their first time entering the water or if they are experienced divers looking for a refresher or looking to continue their dive education. Tito has taken his adventures beyond the recreational limits and started down the path of technical diving (currently PADI TEC Trimix 65 certified). He is looking to finish his PADI Trimix certification and has his eyes set on donning the rebreather in the very near future. 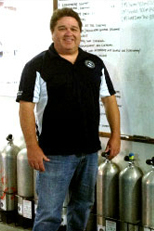 Don is a PADI Open Water Instructor (multiple specialties including ScubaFit®) and Emergency First Response Instructor. 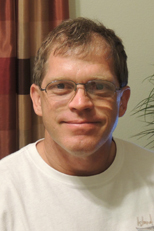 He is the owner of Osprey Security Consultancy, LLC, a small business based out of Tampa, FL. and is a US Navy Veteran. From the cold water of the California coast to the warm waters of Hawaii, Instructor Tom is more likely to be found in the water than out! As owner and operator of Aloha Scuba Company in Honolulu, diving is about fun, safety, education and fitness. Tom is a PADI IDC Staff Instructor, CPR/EFR Instructor Trainer, DAN+ Instructor, HSA Instructor, BSA Merit Badge Counselor and SeaSigns.com Instructor Trainer. 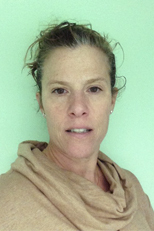 Sherri was originally PADI Open Water certified in 1997 in Pennsylvania, doing a lot of local diving. She became a PADI dive master in 2001 and a PADI Instructor in 2008. Then she purchase the store and became the owner in 2009. Over 800 logged dives from Hawaii to Fiji and Pennsylvania to the Caribbean. Keeping fit and active is important – we stay healthy to dive, not dive to stay healthy. York Divers is a Handicap Scuba Associate facility and as an Adaptive Dive Buddy, fitness is a major factor in the successful experience to those underwater; you always want to be prepared. 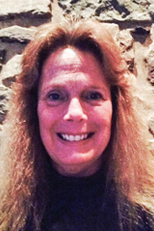 Barbara teaches for Indian Valley Scuba in Harleysville, PA. I started diving in the summer of 2012 while on a vacation to the Dominican Repubic with his wife. What started off as an impulsive activity became a passion. Once certified I took to diving in a more than recreational manner. I quickly realized that diving just for fun wasn’t going to cut the urge I had to pursue more. A leader by nature, I decided my best fit in the industry was to instruct those who wanted to explore the opportunities that come with becoming a scuba diver. I spent two weeks in the Grand Cayman Islands, working dilegently to complete his PADI IDC and IE dunring that fall of 2014. After returning home to Tennessee, over the duration of winter has worked to complete specialty insturctor courses in Digital Underwater Photography, Deep Diver, Wreck Diver and many more. I then spent one month in Honduras completing the TEC DEEP and TEC Trimix courses. Since i have spent a little time in the Florida keys to become a Tec Rec instructor. 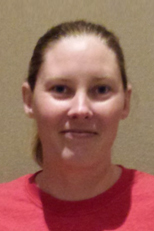 Jill became Open Water Scuba Diver certified in 2007 in Houston, TX. Since then she has been taking trips and working towards Open Water Scuba Instructor standing. She is also a certified lifeguard, swim instructor and a water sports fanatic. Besides diving, Jill’s passions consist of physical fitness, travelling, water sports, underwater photography and painting. Jill obtains a Master’s Degree in Digital Media Studies from the University of Houston – Clear Lake. 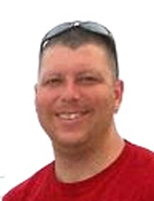 Todd Miller is the owner and operator for Underwater Logistics. 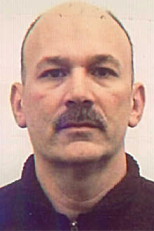 Todd started his diving career when he graduated from Diver’s Academy of the Eastern Seaboard in May of 1986. Working inland and coastal diving from Groton to Boca Raton and Seattle to San Diego. 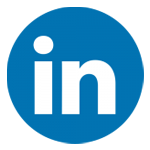 Todd provided services such as inspections, salvage, maintenance and repairs for piers, bridges, power plants, and ship husbandry for thirteen years. 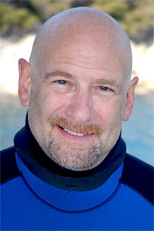 Today Todd enjoys sharing his love for diving by teaching SCUBA. Todd’s greatest pleasure is when he gets to see and hear the enthusiasm of someone’s first underwater experience: “It is just so tranquil, and nothing but silence. Thanks for allowing me to do that! It’s just awesome!”, was my son’s words after his first dive. This is why I teach, it is a life changing experience. We are here to change your life! How do we change your life? By giving you the tools you need to be comfortable in the water, guiding you on equipment choices, and assisting with dive destinations, as well as local diving tours. Alan is the owner of Green Bay Scuba LLC. He divides his time between scuba instruction and managing the store. Alan has been diving for 37 years and teaching for 19. 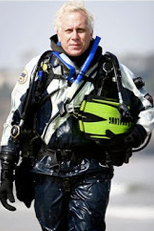 He is a Master Scuba Diver Trainer and ERDI Public Safety Instructor. His favorite dives are the drift dives in Cozumel and the shipwrecks in the Great Lakes. 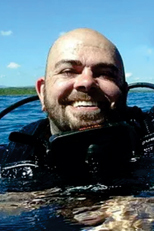 Wayne L Budgen, BA, LLB, MDiv, MA, Instructor, is a PADI IDC Staff Instructor that runs his own bespoke dive business in Australia and internationally. Having worked at dive centres in Viet Nam, Thailand, and the Philippines, as well as in Australia, he is well acquainted with the legal and practical requirements of training and assessment as they relate to SCUBA diving. 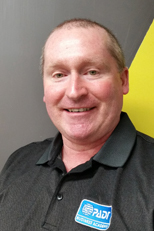 In his fulltime employment as a police officer, Wayne has been a trainer and assessor for police firearms and operational skills for twenty years, having upgraded his training qualifications several times over the course of his career to keep pace with changes to Australian training regulations and requirements. 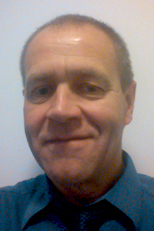 He has also worked as a tutor at a local university, teaching subjects in the field of police forensics, and has published several academic articles and written a number of books in other areas of interest. 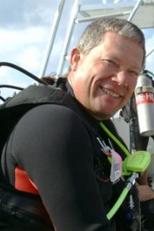 Wayne is currently authorised to teach through the PADI Registered Training Organisation in Australia, and to conduct advanced first aid, advanced resuscitation, and SCUBA diving courses. Commercial & Public Safety Diver. Costa is a seaman, working as IT Officer onboard cruise ships and mega yachts as well as freelance diving instructor (with PADI, DSAT Tec, ANDI, TDI, EFR & DAN Europe). Combining the both jobs, he had the opportunity of traveling almost the entire World and diving in some fantastic places, some of them extremely rich in life and colors, others full of history or adrenaline. Interested in Tec diving (deep & wrecks), he realized the strong connection between having a very good theoretical basement and a good fitness level in order to achieve the diving goal, enjoy it at maximum and return safe together with the buddies at the surface for planning another adventures. “Mens sana in corpore sano” is an old latin diction which he tries to apply it in the daily life routine. As the daily life is getting more and more crowded by pollution, stress and unhealthy food, it is in our hands to try and maximize as much as we can: selecting and consuming healthy food and at least a minimum fitness level will help us going over the daily problems. Martin Donovan is based in Newport, South Wales, United Kingdom. A qualified PADI OWSI, he operates Welsh Diving as a PADI registered education dive training facility based at Bettws Active Living Centre, Newport. Welsh diving is committed to promoting safe diving across Wales and runs PADI courses for Open Water, Advanced Open Water, Rescue Diver and Divemaster certifications. Welsh Diving has recognized the advantages of fitness for scuba diving. 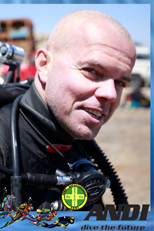 Martin Donovan, also a keen runner and fitness enthusiast, recently completed the ScubaFit® Instructor course in order to teach the PADI ScubaFit® Diver Distinctive Specialty Course for certified divers beginning in September 2014.